On April 25, 2015, Nepal suffered a great loss—8,900 deaths, 600,000 collapsed houses, and 5.4 million victims (according to the report of the United Nations Office for the Coordination of Humanitarian Affairs on October 31, 2015)—caused by a 7.8-magnitude earthquake that stroke Kathmandu, the capital city of Nepal, and aftershocks and landslides that followed. 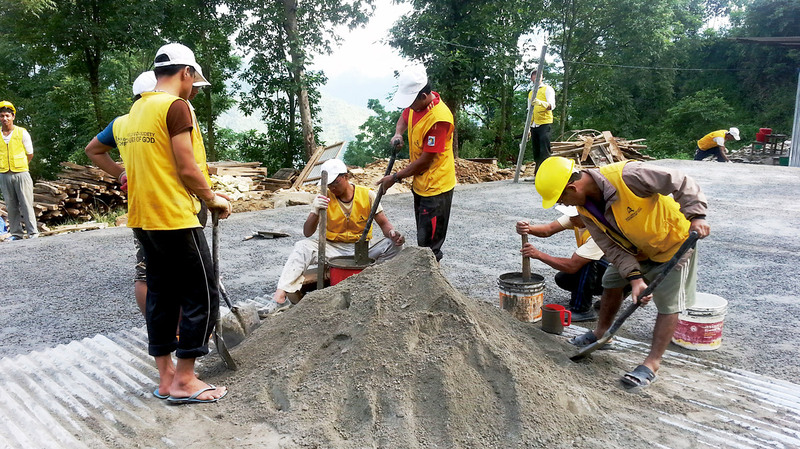 About a year has passed, and the effort to reconstruct Nepal is still ongoing on the strength of the prayers of the Church of God members worldwide and the international attention. The ceremony proceeded with the ribbon cutting, new building tours, encouragement address, and celebrating performance. Local notables looked around the classrooms prepared with new chairs and desks, blackboards, and school appliances, and admired, “It’s great to have durable school buildings where students can continue to study.” “The Church of God people from Korea have established these beautiful buildings. Our children can study in these great places. Thank you so much,” said Congressman Yagya Prasad Dangal through his congratulatory address. “The situation was very tough. 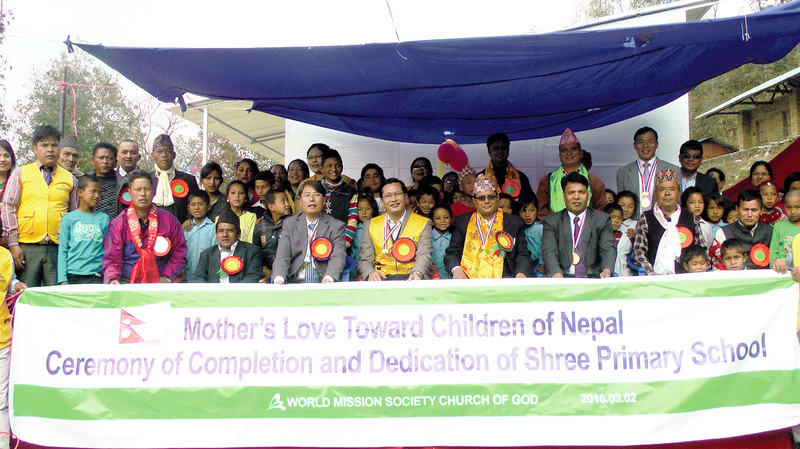 However, before any organizations or the Nepalese government came and did the work, the Church of God came to this disaster-stricken area and built the school. 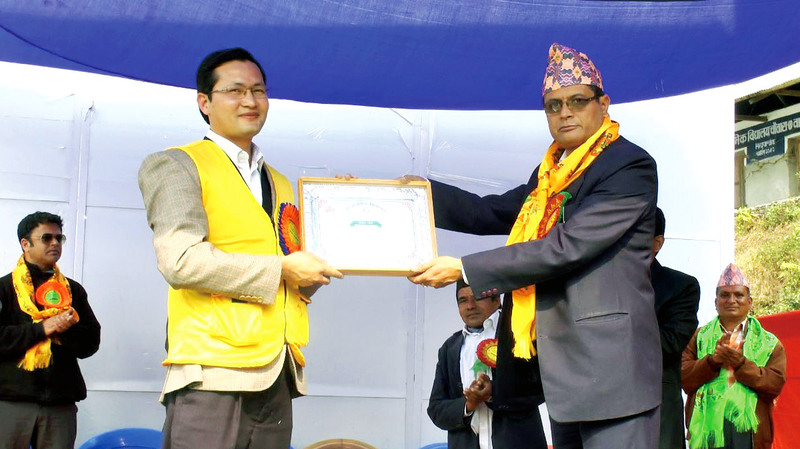 Thanks to your support and love towards the students and their families, we are very happy,” said Sindhupalchok District Education Officer Rudra Hari Bhandari, expressing his gratitude repeatedly.